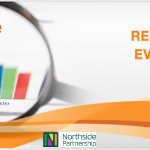 Northside Partnership works to improve the opportunities for people and communities in north east Dublin to bring about positive changes in their own lives and in the life of their community. We offer a range of programmes and services to support individuals, local organisations, groups and communities in the areas where we work. To see the areas that we prioritise in Dublin 3, 5, 13 and 17, please click here.